I love green in my eyes even though I'm not the jealous kind. These days I'm really wearing my makeup a lot (not putting on a lot, but using frequently that is LOL). And looks like I'm learning so much even though I'm not sure how much is showing up in my cam. Plus, I tried shooting in the daylight and the sun was playing peek-a-boo with me. Plus later I realized the cam was casting a weird shadow that made the inner part of my eye area dark. I loved this look I did sometime ago and I wanted to come up with a tutorial. So, let's begin. 1 Start with a primer to smooth and even out pigmented lids. I used my Inglot eyeshadow base. 2 and 3 Next , use an eyepencil of the major color, in my case green. The shadow gets something to adhere to, thereby making the color intense.I used my Lakme Glide on Eyecolor Pencil in Smoky Green and then roughly blended it. 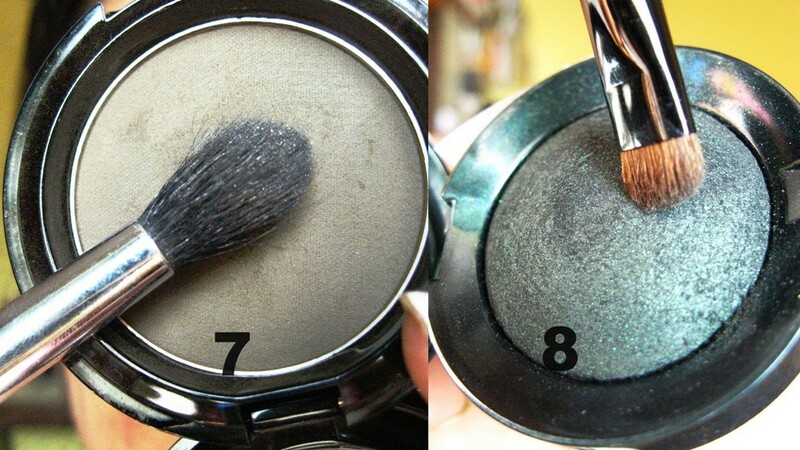 4 +5: On my outer half I packed on a smokey dark green (Bourjois Emeraude Noir) with an eyemakeup brush from Bourjois. 6 ( not shown here): Place a brown shadow on the crease focusing more on the outward side to create depth I used my kkcenterhk CUICU shadow in brown . You can additionally put on a black or a dark brown at the corners, but since my dark green is very deep and my eyes small, I skipped that part. 7+8: Then with my Vega Blending brush blend out the brown. be gentle while blending . otherwise, the colors would get mixed up instead of blending at the margins. 9+10 : Next I lined my lower lashline with some more dark green shadow and then with my Khol and Contour Pencil in black, lined my lower lashline. 11+12: Highlight with a highlighter. I just used my Maybelline Vivid and Smooth liner in white. 12+13: Complete with a generous blast of mascara. I used my Motives by Loren Ridinger Lustrafy High Definition mascara. I did not use anything on the inner corner apart from a dot of the highlighter because I wanted to keep things low since I was wearing this during the daytime. Moreover, I did not line the upper lash line because my eyelids are small. if I lined it, it might have ended in such a fashion that the green-ness would not be visible unless I close my eyes. 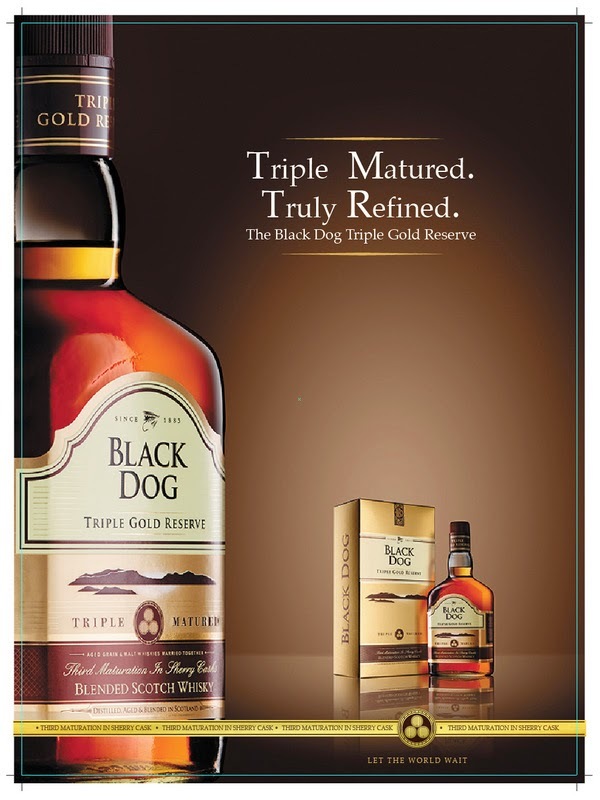 It's a simple look and we don;t need too many things. I listed what I used, but you can feel free to use any brand you like. Hope you enjoyed this post. Let me know if you have any queries. OMG !!! This is perfect !!! it looks gorgeous !! Awesome!!! love the look and the tutorial. wow! amazing look. really loved this tut! Smokey look has come out nicely! I love green and brown smokey eye look much more than black ones! i love d green smokey look :) grt work girl! 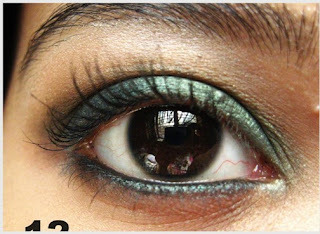 nice EOTD...you eyes are so beautiful!! !